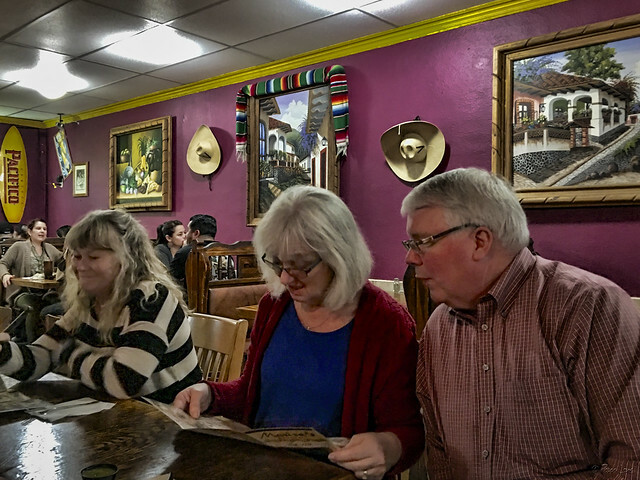 Tonight, a group of us had dinner out at Marisa's Mexican Restaurant. Marisa's is family-owned, founded in 1975 by Fidel and Maria Palomo. In a pinch for a name, they called the restaurant after their youngest daughter, and the name stuck. The place was temporarily closed a few months ago because of a fire in the kitchen, but was quickly back in business, serving great Mexican food at reasonable prices.